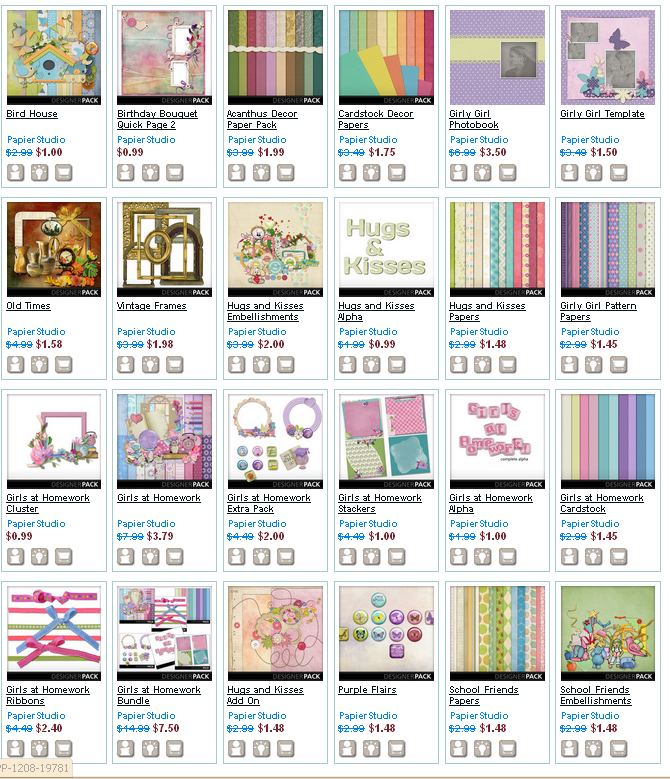 MyMemories Blog: Meet this week's Featured Designer - It's Papier Studio! Meet this week's Featured Designer - It's Papier Studio! Good morning and Happy Monday!! It's time for a new Featured Designer on the MyMemories Blog!! This week, we'd like to introduce you to Silke from Papier Studio! She's got some wonderful designs in her shop and you are sure to find something beautiful for your next project! She is having a great sale in her shop this week, so be sure to stop by and check it out! My name is Silke, married with Egon and mother of Thomas (30). My sister is my right hand here at MM's Store. Monika's 4 cute grandchildren are our inspiration to scrap! We are Brazilian. She lives in Rio with her family and I live in São Paulo with my family (400 km far away) and we talk every day through the computer. I scrap since 2004 and design since 2008. I am computer teacher, and I posted many tips and tricks around photoshop and digital scrapbooking at my blog. And of course, she is giving away some FUN goodies this week - so be sure to comment below to be entered in this week's giveaway! She has got THREE $25.00 shopping sprees to her shop at MyMemories.com!! Be sure to tell her YOUR favorite kit to enter to win! Be sure to visit her FB page and blog for some great info and sales! You don't want to miss a thing! I love Papier Studio's work. I have several of their QPs. I really like the Scenery Painted Backgrounds, and Auqarella Set. I love the Birdie Awaiting Spring Collection! Congratulations on being the Featured designer for the week! Girls at Homework = Cutest kit ever! Love it! One of my favorite designers. I love all her work! In The Nature is one of my most favorite. Thank you for the chance. Congrats on being the designer of the week! I love the girls at homework kit! thanks for the chance! Wow so many beautiful designs! I love the Girls at Homework design. It is so pretty. I love the colors of Girls at Homework! Thanks for the sale and giveaway! They are all beautiful and colors I love but I really love Girls at Homework. Hard to pick but I really LOVE Girls at Homework. I like all the designs something about the bright colors just cheers you up. Would love to win as I am just starting out. Thanks for the chance! My favorite kit is the Sweet Berry Kit! Super Super cute! I like the Bird House and I love the Girly Girl papers. So, so pretty! lovely kits! gardening time is one of my favorites! I love the vintage frame kit- new to digital but want to start!